We all want financial freedom, but what is financial freedom? Financial freedom means the feeling of being able to make life decisions without concern about the consequence of negative financial impact. Most of us work, work, and work, but could not make ends meet. We live pay check by pay check going to bed every night worrying what going to happen tomorrow. Are you looking to free yourself from this financial burden and achieve financial freedom? Well, everyone tells you achieving financial freedom required hard work and scarify your lifestyle comfort. 1st Steps to Financial Freedom – Do What you love. Every financial guru told me that I must control my spending, eliminate doing things that I love and work more hours to achieve financial freedom. Work more hours? You must be crazy! I want to break free from corporate life. I don’t want to bury myself under the desk to achieve financial freedom? Locking yourself in the corporate prison is not a good way to achieve financial freedom. I decide to take different steps to achieve my own financial freedom. Instead of working longer hours and live frugally, I choose to find ways to create and increase wealth, build more assets. I decided to start an online business to achieve my goal, financial freedom. When I told my wife this, she rolled her eyes and laughed. She told me that I will end up in more debts, not freedom. Now, I am a business owner living a life of freedom from debts. I do the work that I love and living life without a financial burden. I travel the world whenever I want, take as many day vacations as I like, and not worrying about the negative financial impact on my family. 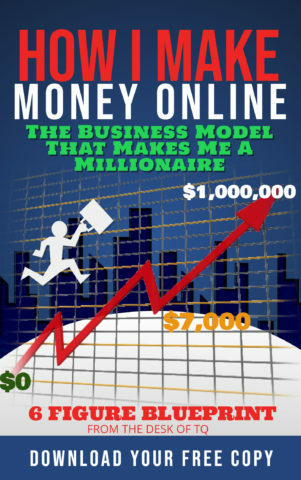 If you like to know what I do online to achieve my financial freedom, here’s my ‘Guide To Make Money Online’ which you can read all about it. The steps that I have taken to achieve financial freedom has nothing to do with the seven steps to financial freedom promoted online by financial gurus. Actually, I did everything opposite to their 7 steps to financial freedom. I did not work long hours, reduce spending, eliminate doing things that I love, or doing the ‘living frugal’ stuff that financial gurus want you to do. Instead, I go into online business, work for myself, and generate more assets to break free from financial burden. I know some people still believe the old way of savings and work more hours is the way to achieve financial freedom. Let me share with you my thought. The costs of living are rising double every year, but your annual income remains the same. Live broke and eat only bread to survive? If this is the way to achieve financial freedom, I cannot allow this to happen to my family, especially my children. Who are the people that live a life without worrying about money? Rich people, right? But who are the rich people? Business owners, especially successful business owners! So, I thought, the way to financial freedom is becoming a business owner. But I don’t have a lot of money. What can I do? I discover starting an online business is the best option for me to achieve my dream. My steps to financial freedom are much better. If you are looking for your own financial freedom, I am writing this article for you. This is your steps to financial freedom. All financial gurus after telling you to control your spending and save more, before they tell you to start building wealth. Their idea of building wealth is investing in stocks and mutual funds. If you are adopting their strategies, you will never achieve financial freedom until you reach retirement or die. The only way to build wealth fast is by starting your own business. With the internet booming, starting an online business is the best investment. The startup cost is little or nothing. There are online free training programs to teach you the process of launching an online business. You can build a business part-time. You don’t have to quick your full-time job until you are ready. You don’t need a physical location, like an office or a warehouse. Your online business generates money 24/7, while you sleep. Your online business generates income into retirement years. You can pass on to your children. An online business that is considered the most lucrative opportunity is affiliate marketing. The process of starting an affiliate marketing business is inexpensive and very simple. You don’t need technical skill to run this business. If you can write and willing to learn the steps of creating content marketing, you can build a successful online business and achieve financial freedom. Below, I’ll share with you the process that I have used to achieve online financial success. I called this my 5 steps to financial freedom. This is what I love about online business. If you have a passion, you can turn this passion into a thriving online business. You cannot do this the traditional way. But with the internet, pursuing your passion is the best way to achieve online success. This is known as ‘Niche Business’. When you are pursuing your passion, this is not ‘work’. You are enjoying your life. Pursuing your passion as an online business is the first step to financial freedom. Your passion can generate passive income if you build a website to share it with the world. The important word here is ‘share’, not selling. You are sharing your passion with the world to build an audience for your website. This is known as web traffic. Web traffic is what you need to make money online. The only way to build an audience is by creating a niche website around your passion to attract others around the world sharing the same interest. The best type of website to share your interest with the world is a Blog Site. 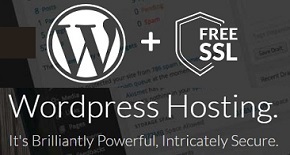 Don’t be afraid, it is not difficult to build a blog site. You can launch one in less than a minute. 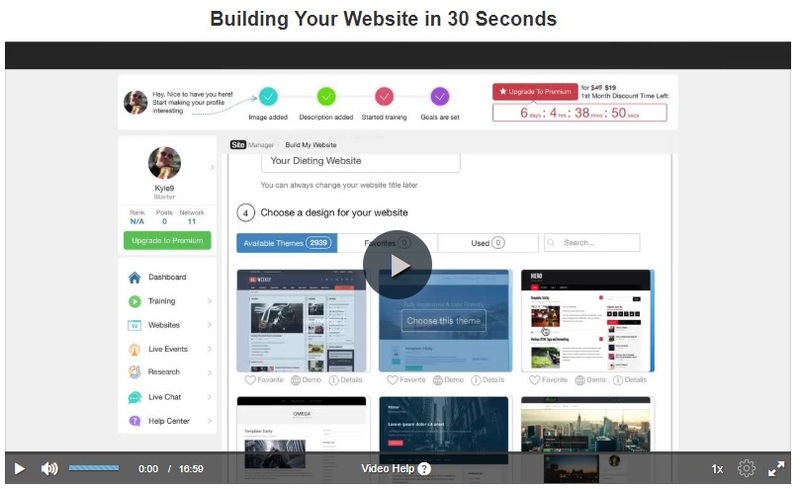 Below is a video to show you how to create a website in less than a minute. Once you launch a niche website to share your passion with the world, you already accomplished the 2nd step to financial freedom. This is the most important step to achieve financial freedom. You are translating your passions into word to share with your audience. This process is known as ‘creating content marketing’. This is the work that you will do as an online business owner. You can choose to share your experiences, life stories, personal journey, or anything that interested you. You share because you want to invite others to visit your site and become your followers, your audience. You should encourage your visitor to share their experience with you and other readers. This is how you create a community on your blog. The more you share, the bigger the audience will grow. Building a group of an audience on your blog is the 3rd step to financial freedom because your audience will help you generate income online. This is the fun step. You get to share your work with the world. I will discuss two methods that you can use to promote your website and expand your reaches. SEO is a technique that you use when writing and sharing your passion. I talk about this in the last section. SEO is a learning process. It is the process that use by online marketers to get indexed and ranked in Google searches. When your content is indexed in the search engines, it’s easier for readers to find and visit your website. If you want people to find your blog online, then you need to learn SEO to promote your blog with search engines. You can take this Free SEO Lesson to learn more about this topic. Below is a video explaining the process of using SEO to build an audience for your website. We all love social media sites. We spend many hours on social media sharing and connecting with friends. How about turning these activities into cash to ease your financial burden? You can use social media platforms to share your passion and promote your Blog. You are turning normal activities into activities that generate money. You achieve this goal by inviting people to visit the blog. You are using social media to build an audience for your website. Here are 10 Free social media lessons teaching the process of utilizing social media for profit. The fourth step to financial freedom is turning normal activities into ‘money generating activities’. This is the achievement step. You are using the niche website to generate wealth and achieve financial freedom. There are many options for you to make money with your blog. You make money selling advertisements on the blog. You make money by writing sponsored posts. You make money by joining ads network. You make money selling products or services on the blog. You make money with affiliate marketing. I am going to share with you more about affiliate marketing. This method of monetization has generated the most wealth for me. Affiliate marketing is when you promote other people products or services to earn commissions. You don’t have to deal with order processing or customer services. This is the best and the most lucrative opportunity to make money online. Learning affiliate marketing is easy and free. If you know how to add links, you can become an affiliate. I use these 10 Free Lessons to learn about affiliate marketing. This is a great way to introduce yourself to this online business. Once you find the best option to generate income from your blog, you know that you have achieved financial freedom. The income from your online business will solve all your financial problems. If you are interested in using the internet as a tool to help you achieve financial freedom, then I invite you to try my #1 Free Online Training Program teaching the process of making money online. You must build wealth to achieve financial freedom. The best way to build wealth is by starting your own business. You don’t need a lot of investment to launch an online business to build wealth. You can use my steps to financial freedom to learn and create a successful online business for free.